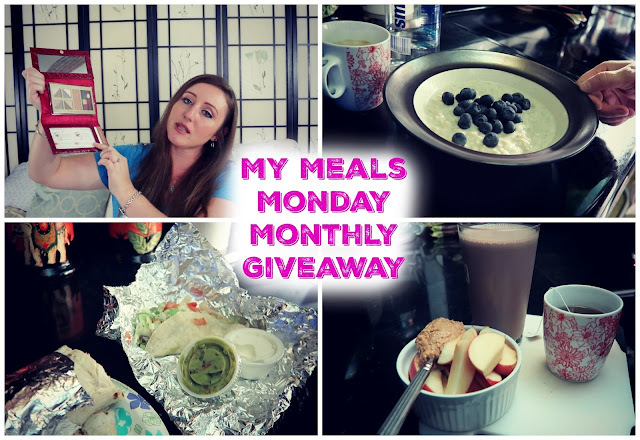 Since today is the first of the Month this post/video has the February Giveaway in it!!! I realize I didn’t upload a video for January’s because I took some time off, but don’t fret I did pull a winner and contact her and send her the Erin Condren planner, she has received it and is quite happy with it. So this months winner is receiving this Estee Lauder Soft Naturals Palette, it’s perfect for on the go, as it is in a clutch type case so you can toss it in your handbag and head out the door, the winner of this palette is “SLC12892” I will contact you through the youtube messaging center for your shipping address. 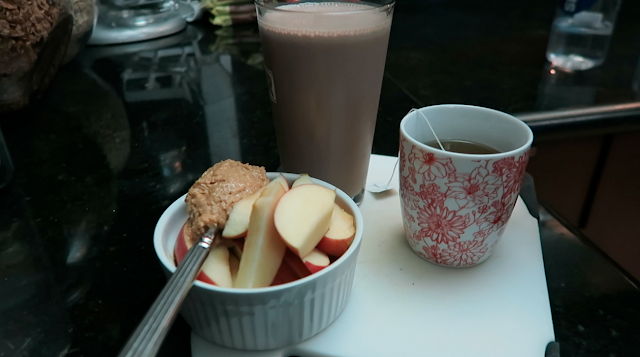 Now onto My Meals Monday…. For breakfast I had coffee, with a liter of water, and stovetop oatmeal with blueberries. 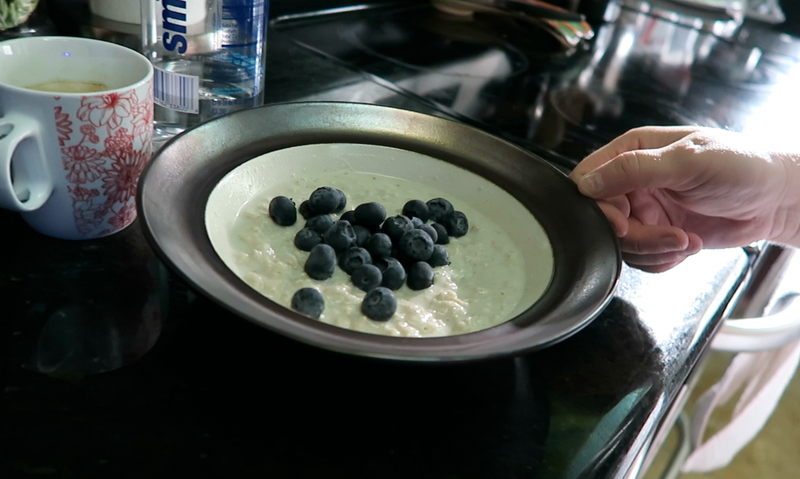 If you are an oatmeal addict like I am, I would recommend making it from scratch rather than the instant, it is so much healthier as well as it tastes 1000 times better. Because I was still kinda full from lunch but felt a bit snacks, around 8:30 pm I had a small sliced apple with 100% pure peanut butter, a chocolate Attain shake, (its supposed to be a meal replacement shake but I always think of it as dessert because it reminds me of a Chocolate Milkshake lol), and I also had my nightly peppermint and licorice tea from TeaPigs. Since I got my Invisalign I am having to have my tea with dinner because it is so much trouble taking them in and out and brush and flossing, doing it just for a cup of tea hardly seems worth it. 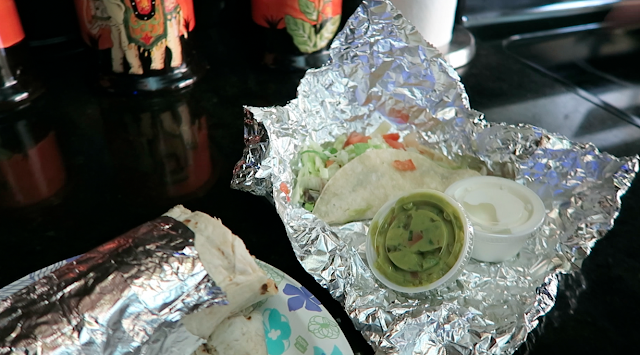 That is everything I had today, here is today’s Main Channel Video and Daily Vlog.